the area in the vicinity of the sewri fort is an industrial zone, along with a lot of docks and shipping activity. our site for designing a high-rise building for fire-fighting and hvac is located in this area of mumbai, popularly known as the eastern waterfront. 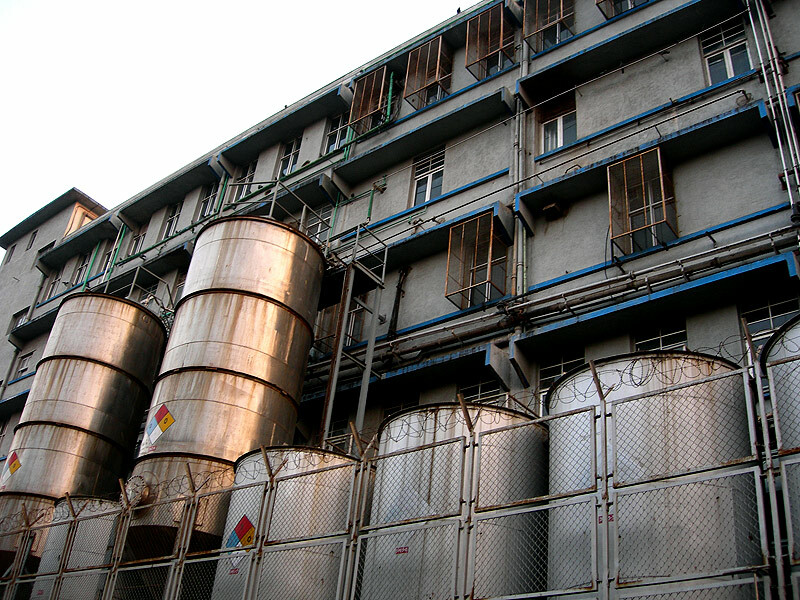 this photograph is of one such industrial factory. unlike its glamorous western waterfront counterpart, the city's eastern waterfront is a comparatively neglected stretch of land, that has witnessed little development over the years. its only in very recent times that there has been an interest in this strip, for its high reality potential. in fact, a part of this waterfront also has salt-pans that hold the sea-water in checked-ponds and extract salt from the evaporating water. don't know how many other metropolises across the world are home to salt-pans? oh, and, mindless mumbai crossed its 2500 visitors mark today. thanks everyone! Well, here´s the proof that even in industrial areas one can find some beauty! looks great with the large pics! I love the addition of the chat on the side!